Dr. Robert Hawkins specializes in Medical Education. He received his medical degree from University of Colorado at Denver. He completed an internship at David Grant USAF Medical Center and his residency at Wright-Patterson USAF Hospital. He also completed a fellowship at University of Colorado, Health Science Center. 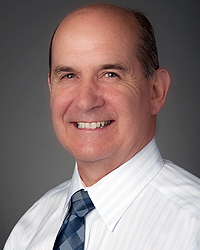 He is Board Certified in Internal Medicine since 1980 and Rheumatology since 1984.